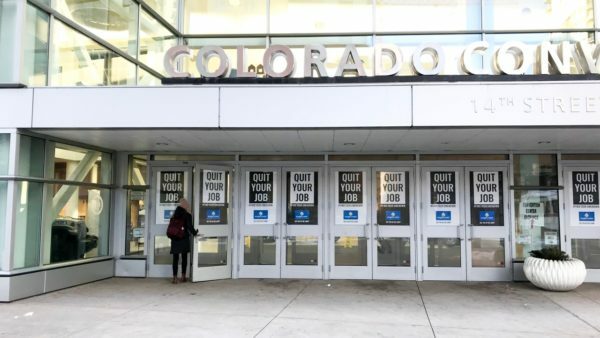 Travel bag company Eagle Creek made a splash at the OR Snow Show with its new campaign that encourages younger travelers to quit their job and go travel. The Campaign, called Quit Your Job, will allow six people to win a two-to-three-week trip to their dream destination. The project includes a mobile tour at wide range of retailers where the brand will ask people where they want to go. Quit Your Job was based on research that shows travel makes people more productive and creative, and taking vacation days actually increases your chances of getting a raise. The research also shows that 42% of millennials are likely to quit their jobs in the next two years. Eagle Creek is using the same ad agency that Reef hired for its bold “Beach Freely” campaign. We followed up with Monica Rigali, Eagle Creek’s Director of Marketing, to ask her a few questions about the project. How did research influence the formation of the Quit Your Job Campaign? Eagle Creek Director of Marketing Monica Rigali: Research and data around millennial wanderlust heavily influenced this campaign. We’ve seen this push and pull between work and travel. Those between the ages of 25 to 35 yearn to travel but feel constrained by pressure to get their careers off the ground. Our message is: if you can find a way to take some time and travel, it will actually make you better at your job, it might even get you a promotion and it will definitely make you a better human being. 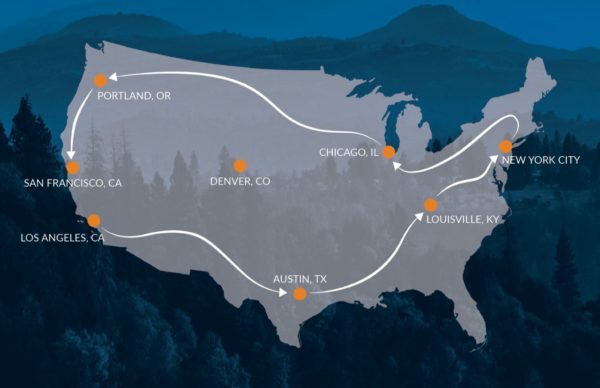 At Eagle Creek, we’re all travelers and we know how transformative the experience of travel can be. How will the program work? Monica Rigali: We’re taking the Quit Your Job TerraDrop trailer on the road to 50 cities around the U.S. and Europe. We’ll hold auditions for “quitters” at eight of those stops in the U.S. and another six in Europe. We’ll ask people if they could quit their job tomorrow and go anywhere in the world, where would they go, and why? We are awarding six people their dream destination, courtesy of G Adventures, our official “Adventure” partner. Contestants do not have to quit to win the trip, but they do have to take leave for three weeks. Criteria for winning are: passion for travel, reasons why they want to go to that destination, and a willingness to participate in a volunteer project while abroad. How is Eagle Creek getting retailers involved? Monica Rigali: Our tour stops are mostly at Outdoor Specialty retail stores, which are helping to activate the consumer experience on the ground. We’re hitting major markets and some off-the-beaten-path outdoor destinations. REI has invited us to bring the Quit Your Job trailer to some of their consumer events and we are excited to partner with them. The tour goes from March 28 – Labor Day Weekend. Is an ad agency helping with the campaign? Monica Rigali: Haymaker in Los Angeles is our creative agency of record. They presented Quit Your Job to us as a “Let’s go all in” proposition. We jumped on it knowing it would get more young people stoked on travel. Outlier Productions, a Colorado company, is handling the logistics of the tour. Our hired van-lifers, Taylor and Sam, have agreed to tow the trailer for the whole six months. What are the key components of how Eagle Creek is communicating the program? Monica Rigali: Digital media, social, PR, e-mail, DTC and grassroots event activation. Some direct buying with key partners, like Outbound Collective. On the digital side, we work with Awlogy in San Diego to stay targeted on a key demo. On the content side, we’re collecting user interviews from the eight auditions that we’re turning around as fresh ads to promote the next stop – those have been really fun. Everyone knows going in that their interviews may be made public. They’re into it! How does this campaign promote Eagle Creek and its products? Monica Rigali: We intentionally created product stories for 2019 that resonate with young travelers: The new Migrate Duffel, with a coating made from recycled auto glass film; durable and colorful Gear Warrior wheeled luggage and travel packs, containing fabrics made from recycled plastic bottles; and Pack-it organizers in playful prints. Eagle Creek has been around for 44 years, but our newest products are more sustainably built than ever. It’s a choice we make at every level and something Eagle Creek is proud to be known for.